Home Health Care software is management software that is designed specifically for the home health care industry. Only registered nurses, physical therapists, occupational therapists, home health aides, and medical social workers can provide home health care service for adults and seniors post-hospital stay. Home health care software organizes and manages care providers’ skills, capabilities, and credentials to efficiently match the right provider to the right client. Home health care software coordinates business operations and processes—like scheduling appointments, client/caregiver coordination, and documentation of health records and visits—to centralize workflow for efficiency, transparency, and adherence to regulation. Home health care software’s functionalities integrate with human resource, payroll, time tracking, and business intelligence software. Home Health Care reviews by real, verified users. Find unbiased ratings on user satisfaction, features, and price based on the most reviews available anywhere. Brightree Home Health software provides the ideal combination of a native iPad® point-of-care app and cloud-based back-office software. Incredibly easy, intuitive and efficient at the point of care, yet packed with powerful features that maximize documentation accuracy and compliance. Our solution bridges the gap between point of care and back office operations. Kinnser Software helps post-acute care providers accelerate their revenue and cash cycles, improve productivity and billing processes, and streamline compliance, while providing exceptional care. •	Extensive suite of solutions for all post-acute care lines of business, including Home Health, Hospice, Private Duty and Therapy •	SSAE 16 certification proves our dedication to protecting our customers’ security •	Scalability to support agencies of all sizes, from start-ups to enterprise chains Familiar and intuitive clinical workflows are the backbone of Kinnser’s easy-to-use solutions, eliminating roadblocks that slow down documentation. Clinicians and healthcare staff report saving hours completing visit notes and documentation. 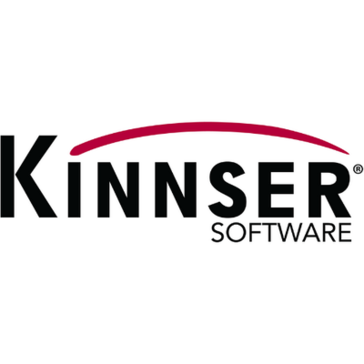 As a result, clinicians prefer using Kinnser rather than any other software solution. As a fully web-based, Software-as-a-Solution (SaaS) software, Kinnser eliminates costly servers and hardware requirements, and can support both Apple and Android tablets. Additionally, Kinnser offers Kinnser VisitVerify™, an electronic visit verification solution that captures patient signatures using GPS technology, and Kinnser Link™, a tablet-compatible solution that allows clinicians to document at the point of care, with or without Internet connectivity. Optima Hospice provides hospice-specific workflows and intuitive navigation that guide clinicians and staff to provide exceptional patient care, while ensuring compliance and maximum reimbursement. From referrals to scheduling to clinical documentation and billing, let us show you why Optima Hospice is the solution of choice for your agency. Santrax Agency Management is a agency management solution that automates operational processes by incorporating functionality such as scheduling, clinical documentation, compliance management, EMR, billing functions and more. TherapySync delivers a unique and comprehensive solution to contract therapy companies that can be accessed via the cloud, or as a convenient offline version. AdaCare is a home health care solution that helps you manage your scheduling with staff management, caregiver web connection, marketing, scheduling, telephony and more. Alora Home Health Software is a web based software system designed to empower home health care agencies with high efficiency and productivity. Healthcare Assistant is an automation software aimed to manage tasks that you encounter during day-to-day operations and provides integration with point of care options and tools. HEALTHCAREfirst is a home health and hospice software. MedLink is Windows-based integrated medical records, scheduling, and back office family of products that provides you with tools you need manage your business. 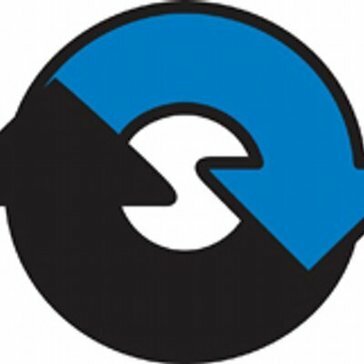 RespiTrack's web-based program is the proven solution for improving workflow, creating efficiency and controlling labor costs. This comprehensive suite of applications makes it easy to track time and attendance, expenses, scheduling, client details and more. therapyBOSS is a solution that offers referral management, field activity monitoring, compliance tracking, billing, a web-based agency portal and other communication tools to manage your agency. Axxess is a home health technology company, providing a suite of cloud-based software and services. Crescendo offer comprehensive solutions that help effectively market and close planned gifts. HCS Connect is an integrated tool that provides tools and features that will help you manage your patients information, time and patient education. mjsONE is a web-based home health software that provides functions and features to help you manage your agency. HomeCare Billing Solution is an integrated clinical, financial, and business intelligence solution that provides tools to help manage patient care, compliance and manage your agency by streamlining workflow, scheduling, billing and point of care. Data Soft Logic’s Home Health Centre for Home Health Agencies. Your complete home health web-based software solution anytime, anywhere, for your entire Home Health organization. Across all clinical disciplines of your agency Data Soft Logic’s Home Health Centre is here to improve your efficiencies and increase your profits. HomeSolutions.NET is a web-based home health agency management, EMR solution that helps you manage clinical, financial, and regulatory preformance with mobile capabilities and more. MedSys2 is a Windows-based, home health software that combines interfaces that work the way you do with features and functions that gives you the ability to perform tasks at point of care. OASIS Analysis Plus is a software solution for nurses with features and functions to help you manage your agency such as analysis, clinical and financial reports, and more. PRN Plus is a cloud-based clinical, scheduling, and billing software for home healthcare agencies with integrated tools to manage your business and manage cost, productivity and efficiency. HealthMEDX Vision is a EMR solution for long-term, home care and hospice providers that provides clinical, financial, and reporting functions and tools that helps you automate your workflows, care coordination and more with real-time access to patient data. Ankota Home Health Care helps the care agency determine and organize assignments and routes. This allows the health workers and supervisors to keep their focus where it should be, on patient care. CaraSolva provides a Software as a Service (SaaS), subscription based electronic medical administration (eMAR) package. Caresys is a fully integrated care home management software solution designed to add value to care organisations. The software can be purchased in numerous modules and also in a mobile application, which provide a business specific application allowing information to be shared cost effectively amongst any number of different people at different locations. The latest version of Caresys includes new features such as a revised user interface which allows for swifter navigation, further reducing the time spent on administrative tasks and enabling staff to focus more on planning and delivering care services. Caresys Mobile allows point-of-care recording of the services provided. ContinuLink has the ability to seamlessly manage multiple lines of businesses across different locations and states—as well as the support for virtually all payers – Medicaid across 49 states, Medicare, insurance, private pay—puts ContinuLink in a class of its own. Deliver quality care with effective revenue cycle management using ContinuLink and experience an immediate revenue increase with the only solution your business won’t outgrow. Hi there! Can I help you find the best Home Health Care solutions?